Head of household is one of five filing statuses. 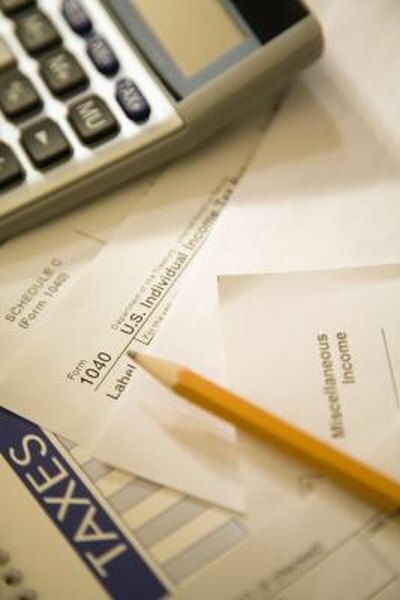 The first step in filing a tax return is choosing a filing status, based on what you qualify for, that will offer you the lowest tax burden, often by allowing you to claim credits and deductions. The "head of household" filing status, if you are eligible for it, usually results in a lower tax liability than filing single. Although filing as head of household does not prohibit you from claiming an education credit, in contrast to the "married filing separately" status, there are some eligibility requirements you should keep in mind before filing. If you are married, you can file as joint or separate, but if you’re single, you are required to file as single, head of household or qualifying widower with dependent child. You are eligible to file as head of household only if you are unmarried by the last day of the tax year, paid more than half the cost of keeping up the household, and are eligible to claim a qualifying person who lived in your home during the tax year. Head of household is not a restrictive filing status, like married filing separate, and does not reduce the credits and deductions for which you are eligible. You can file head of household and claim education credits as long as you meet the IRS eligibility guidelines. If you meet the requirements to file head of household, then you can claim education credits for yourself or for a person whom you are eligible to claim on your tax return. For example, if you are a student or a parent who claims head of household, you are eligible to claim education expenses for yourself or your child up to the deduction limit. You are not allowed to claim the credit if you were listed as a dependent on someone else’s return. You cannot claim the American Opportunity credit if your modified adjusted gross income is more than $90,000 ($180,000 if filing jointly) or claim the Lifetime Learning credit it it's more than $62,000 ($124,000 if filing jointly). The two types of education credits are the American opportunity credit and the lifetime learning credit. The Hope credit is not available as of the 2012 filing season. The lifetime learning credit is geared toward adult students in that it is available for all years of post-secondary education and for courses that improve a taxpayer's job skills. The American Opportunity credit, however, is geared toward undergraduate students and is available only for four tax years per eligible student. It is also available only if the student had not completed the first four years of post-secondary education before 2012. You can claim either of these credits if you paid qualified education expenses for yourself or your child during the tax year. Eligible taxpayers may qualify for up to $2,000 in credit from the lifetime learning credit under most circumstances and up to $2,500 per student for the American opportunity credit. Use IRS Form 8863 to claim your eligibility credits. Allowable education expenses include fees, supplies, tuition and equipment required for study. You can only take one tax credit per student per tax year, and if you claim either of the education tax credits, then you are disqualified from claiming the education deduction. You can claim both the American opportunity credit and the lifetime learning credit on the same return, but not for the same student. You cannot claim the American opportunity credit for a student, then use that student's expenses to figure another student's lifetime learning credit, or vice versa. That is considering double dipping and is not allowed under IRS tax law.